It's truly rare to find a home as stunning as this! 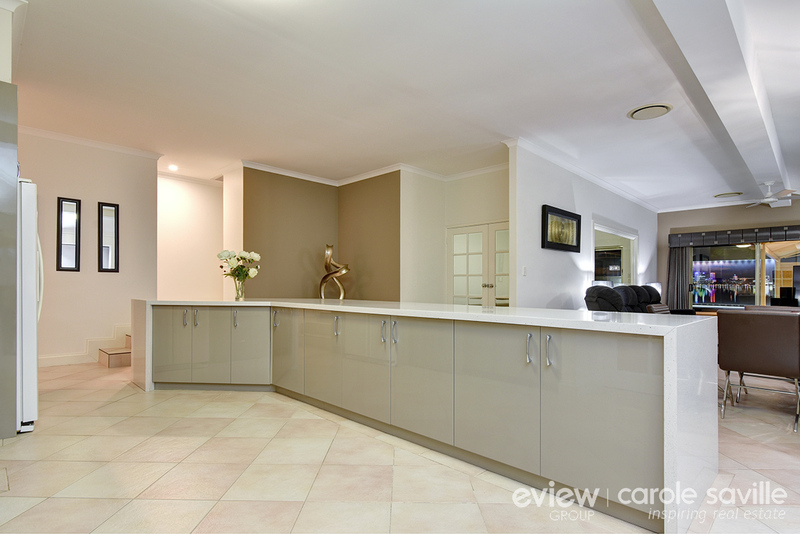 Immaculate and stylish, this 4 bedroom dwelling situated in a prestigious, leafy, whisper quiet Kingsley cul de sac, features expansive internal living space with a great functional floor plan. 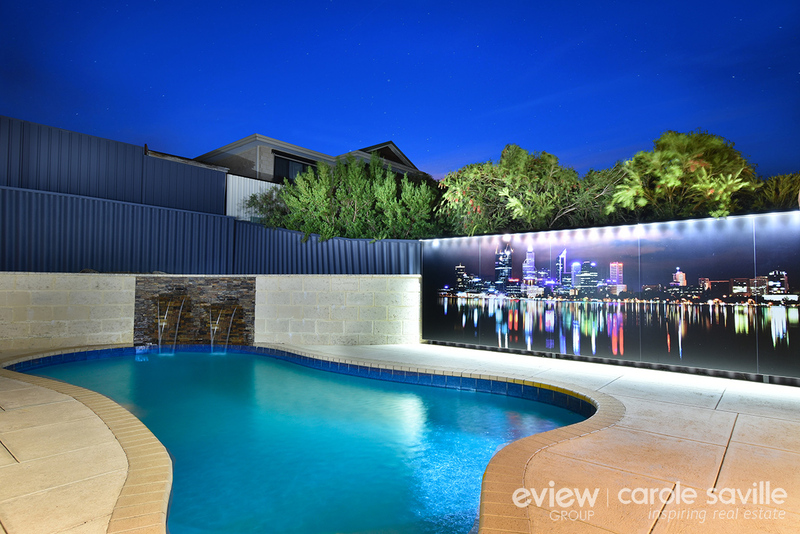 Fabulous outdoor areas with sparkling in ground pool, alfresco with modern liquid limestone flooring and low maintenance gardens. 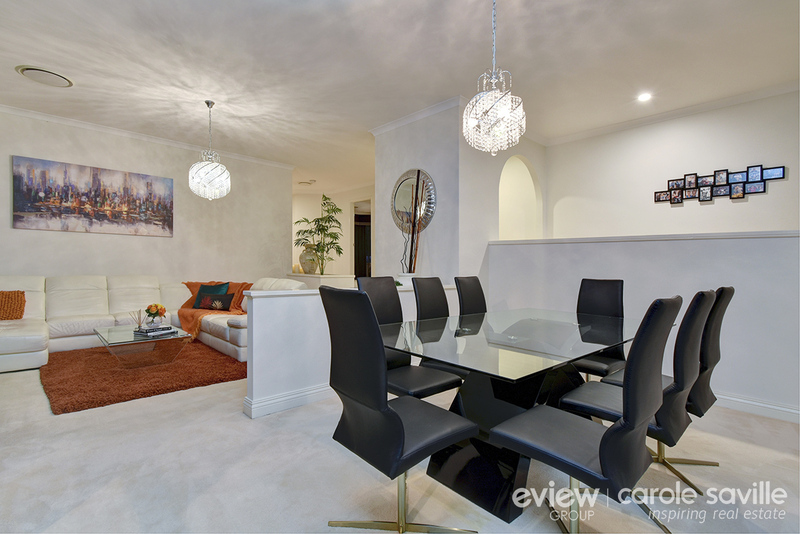 With quality finishes throughout, this home will truly excite you. 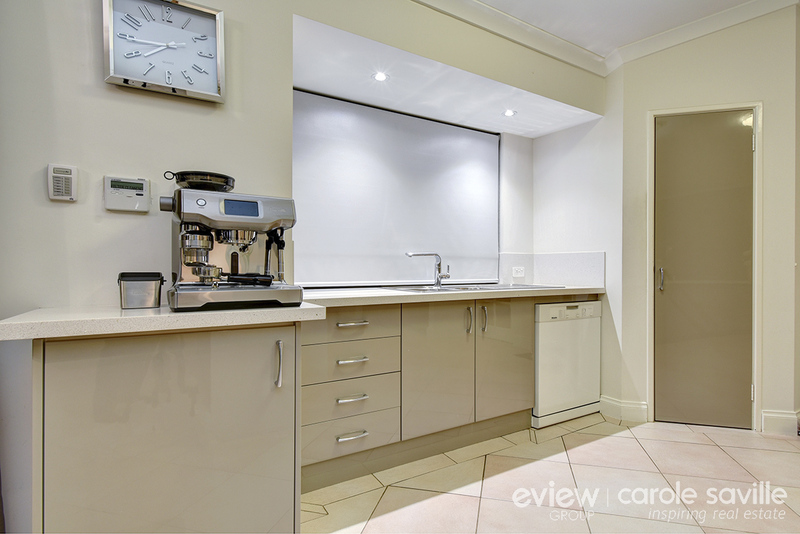 Situated on a massive 819m2 block, and with 360m2 of living space it will appeal to families with great taste and must be inspected to fully appreciate the ambience and lifestyle opportunity on offer here. 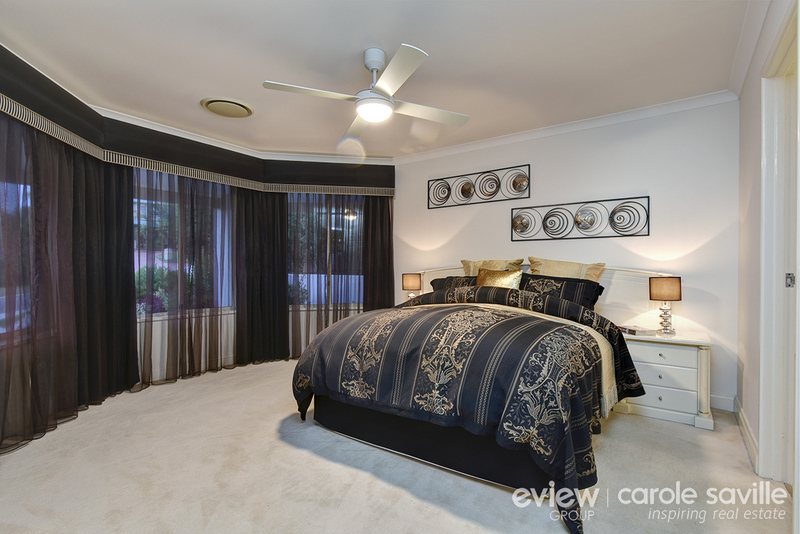 - This very attractive frontage sets the scene for the fabulous journey ahead. 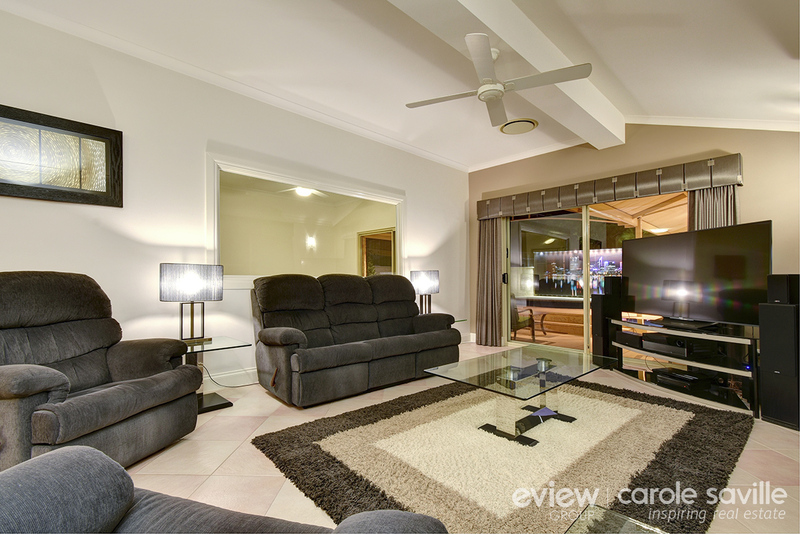 - Step through the impressive double front doors and … lights, camera, action, prepare to be wowed! 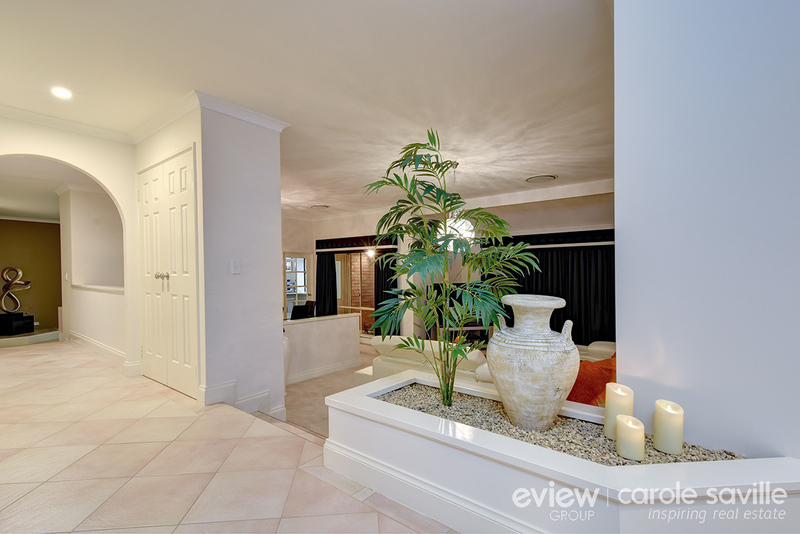 - The wide open and inviting entrance greets you as you step on in! 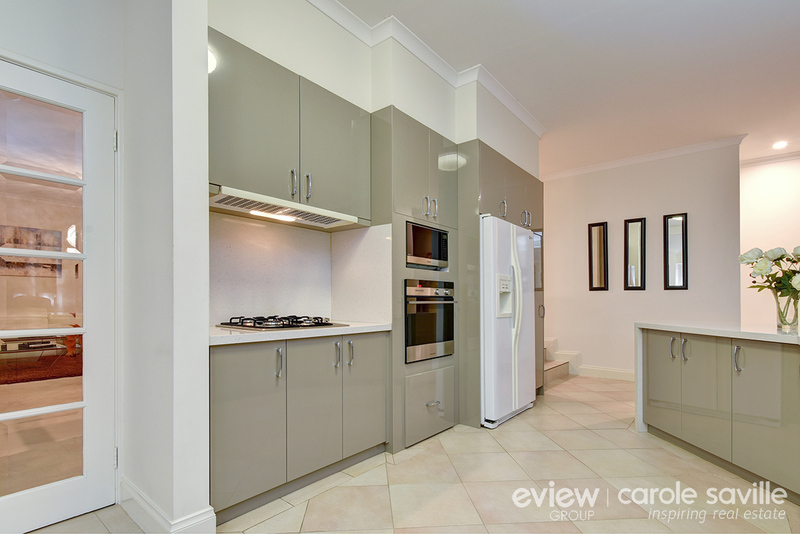 - Decorated in neutral tones and immaculately cared for, this home is ready for you to simply move your own furniture in. 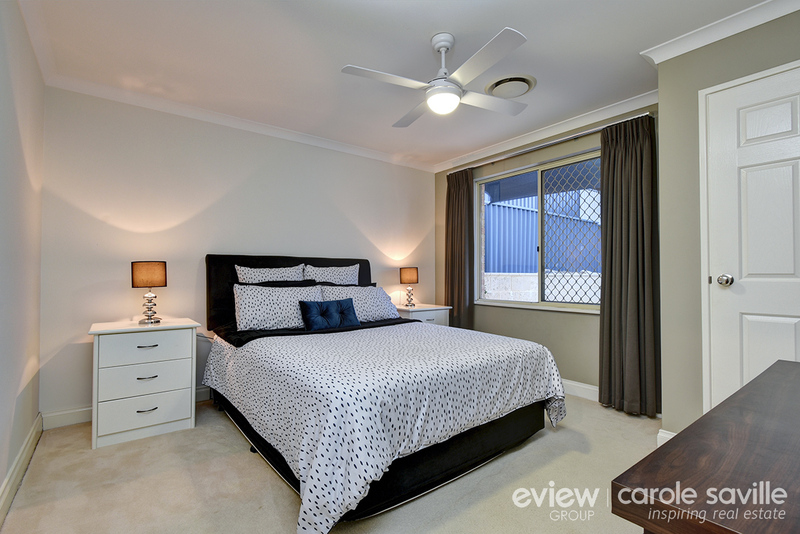 - The floor plan is ideal for those looking for the all-important good sized bedrooms, multiple separate living areas and stunning outdoor entertaining. 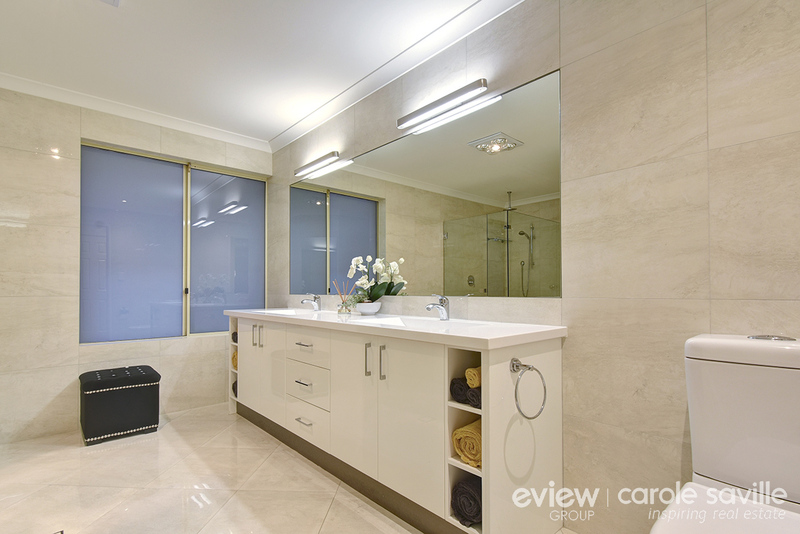 - Easy clean, attractive tiled flooring throughout most living areas creates a luxurious, spacious ambience. 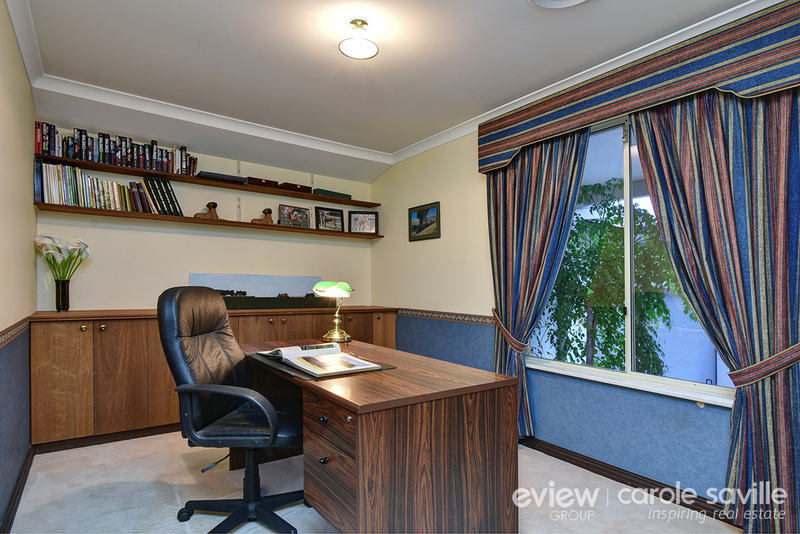 - The generous study to the front of the home is ideal for the home based business or the 5th bedroom if needed. 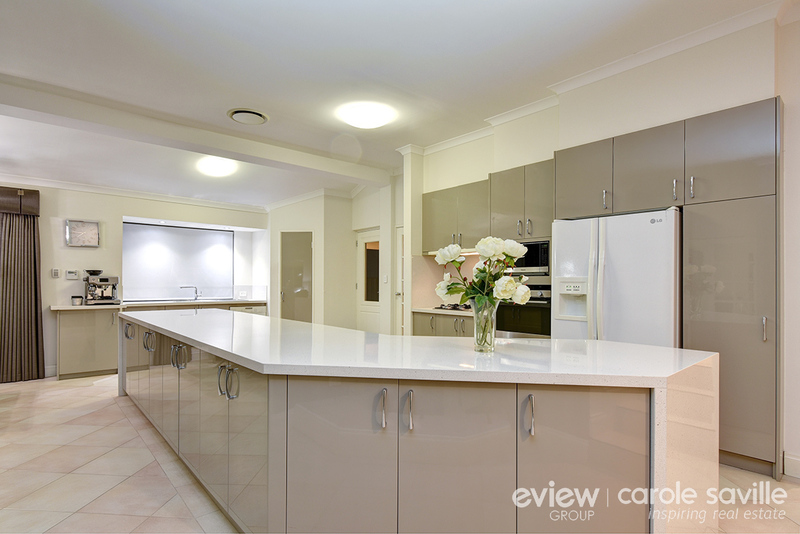 - Attractive and expansive open kitchen and family areas are the true heart of the home. 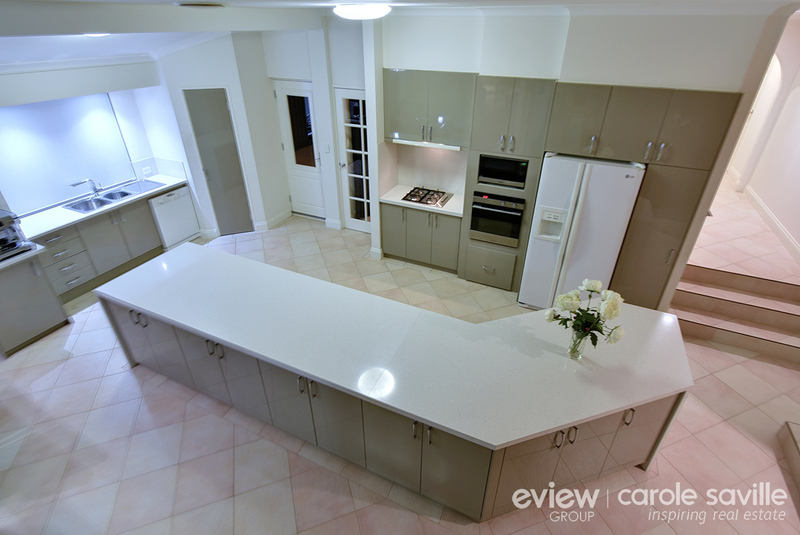 Get the creative juices flowing in this kitchen which has a 4.6m island stone bench top, high quality appliances, oodles of cupboard space and walk in pantry so the Masterchef will be very happy indeed!! 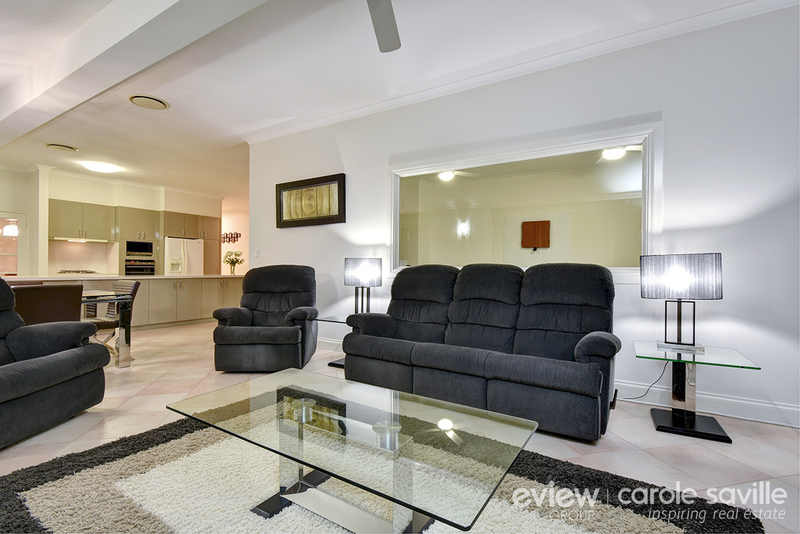 - The generous sized separate lounge to the front of the home is just the place to unwind at the end of the day. 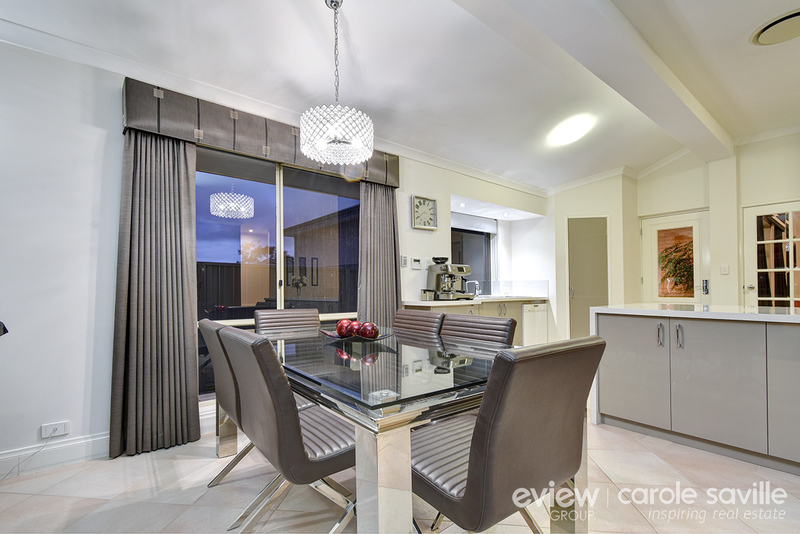 The offset formal dining is perfect for the weekend dinner parties or would make an ideal library area for you to relax and get lost in your favourite book. 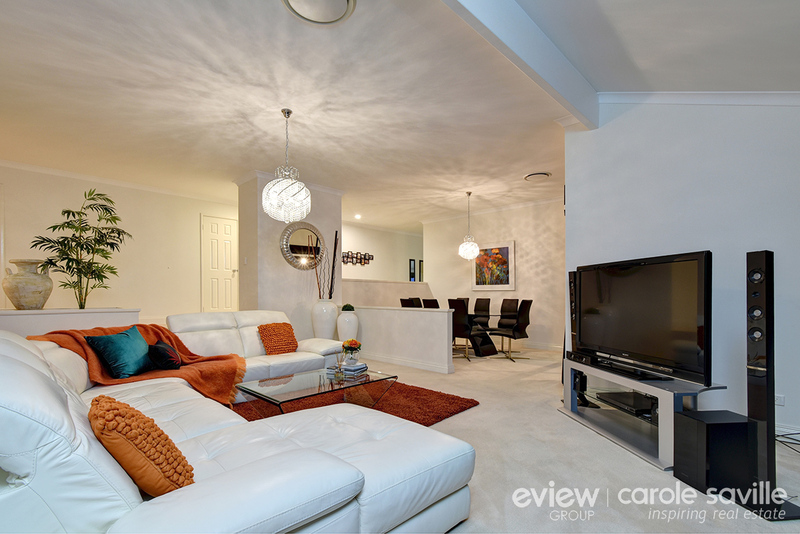 - The nice extra bonus is the third living space with huge storage space which overlooks the outdoor entertaining. 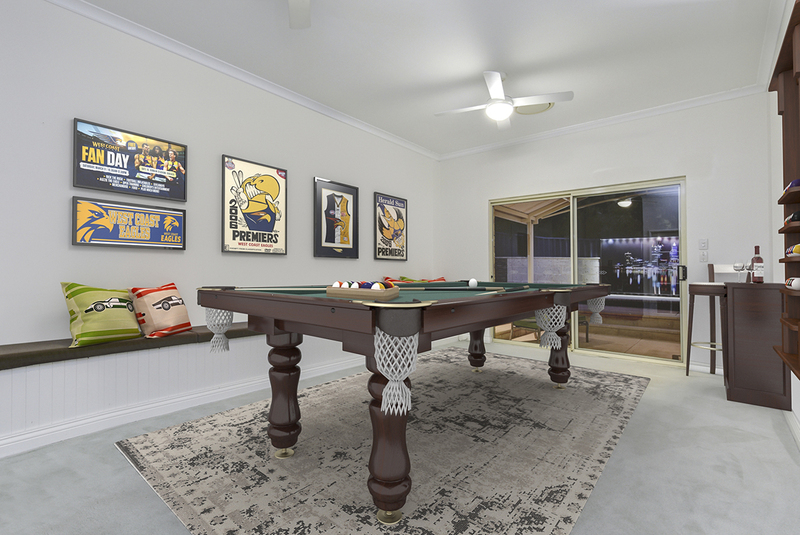 This space is perfect as a theatre room, home gym or kids play room….. whichever you prefer! 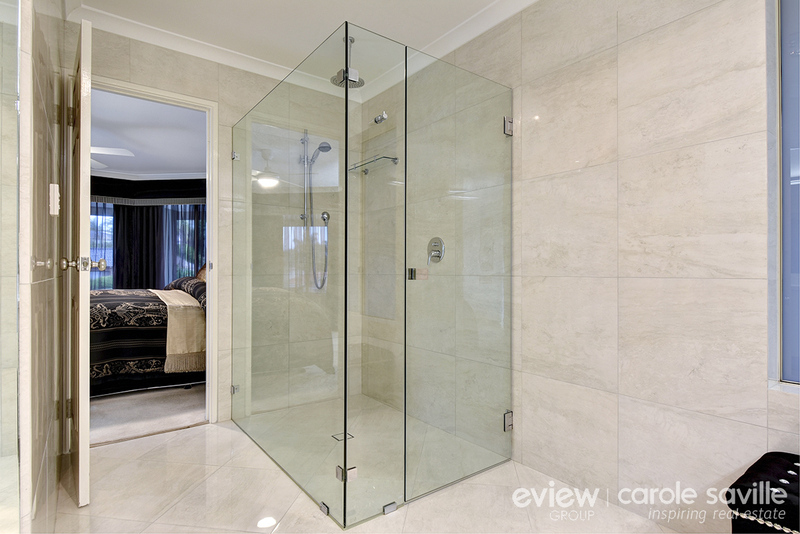 - Expansive main bedroom also to the front of the home has a true retreat feel with a large walk in robe and boasting a truly beautiful spacious adjoining floor to ceiling Italian porcelain tiled ensuite with double vanities and frameless shower. - The three minor bedrooms are all queen size, great for growing teenagers so there'll be squabbles about who has which one; all are fitted with built in robes, quality drapes and carpets. 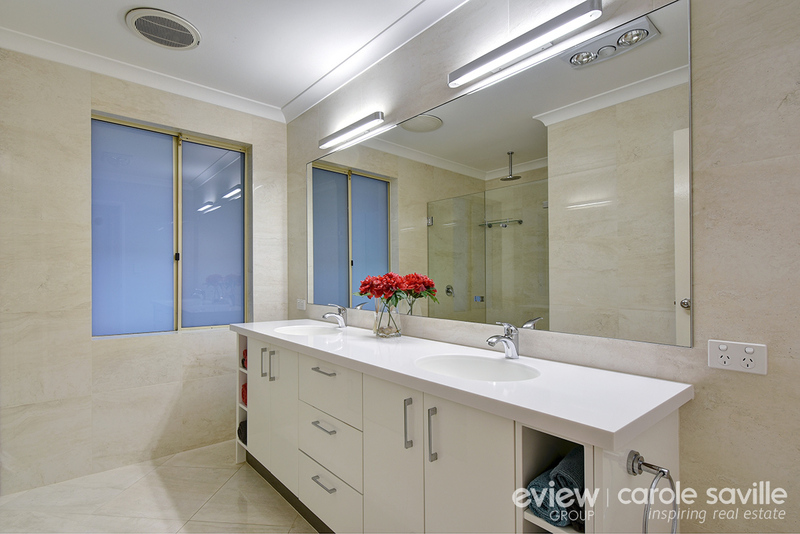 - Quality appointed floor to ceiling tiled second family bathroom is complete with double vanities and again frameless shower, adding to the feel of sheer luxury, the separate WC certainly adds to the convenience factor too. - The inside flows beautifully with the outdoors here……. enjoy your morning coffee sitting outdoors listening to the birdsong in the massive alfresco area. 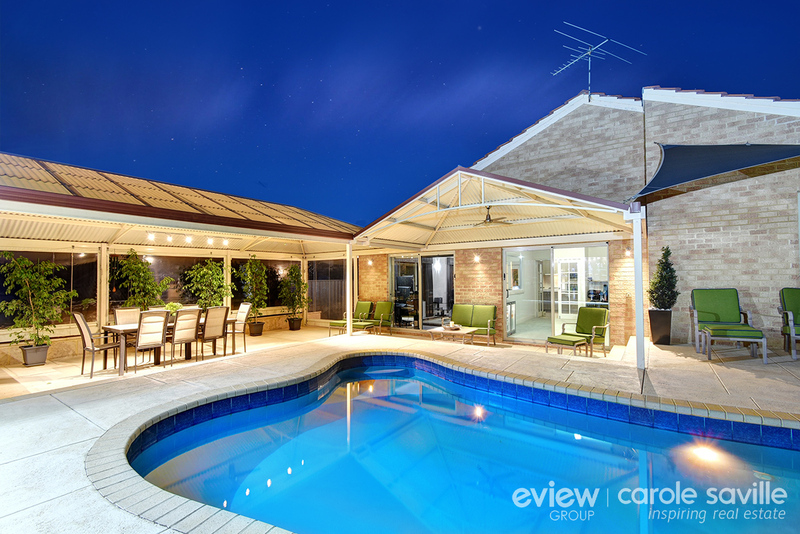 This huge private rear garden is simply perfect for outdoor entertaining. 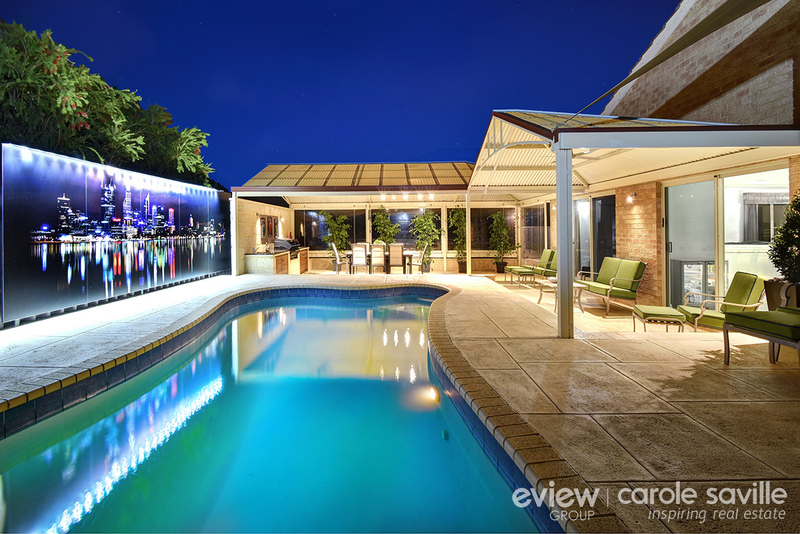 The sparkling large pool with water fountain feature, has a bionizer filter system……… the healthy and low cost alternative to chlorine and salt pools. 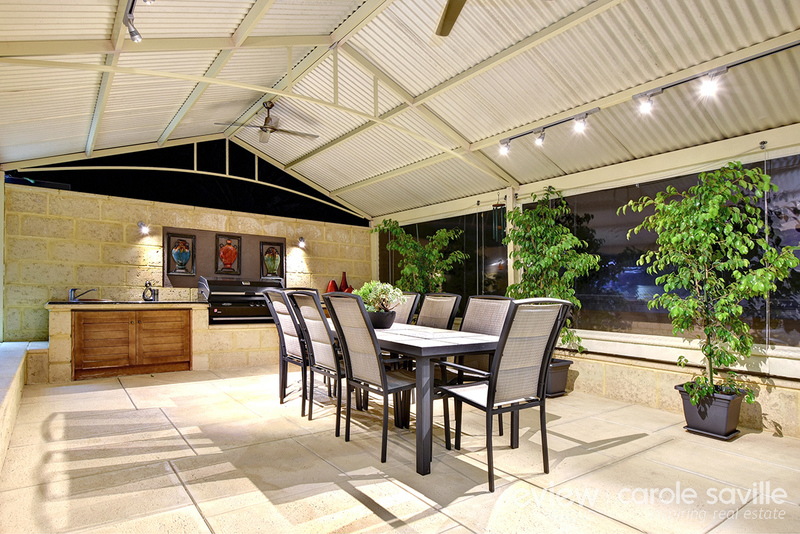 This together with the liquid limestone flooring, cafe blinds and built in BBQ with granite worktops and hot and cold water supply, your outdoor events will be the envy of family and friends. - New ducted reverse cycle air-conditioning provides all year climate control. 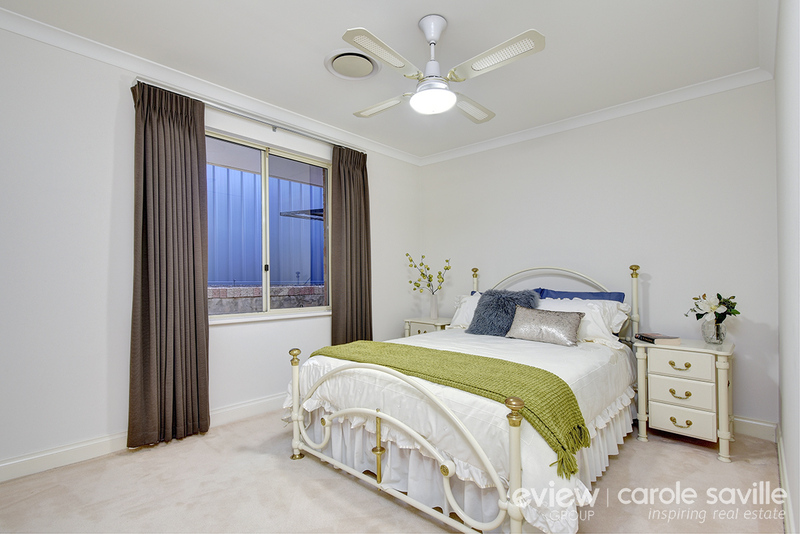 - Large built in laundry with ample storage space. - Three double door linen cupboards ensure household storage is a breeze. - The 6.3Kw of solar panels certainly helps with power bills throughout the year. 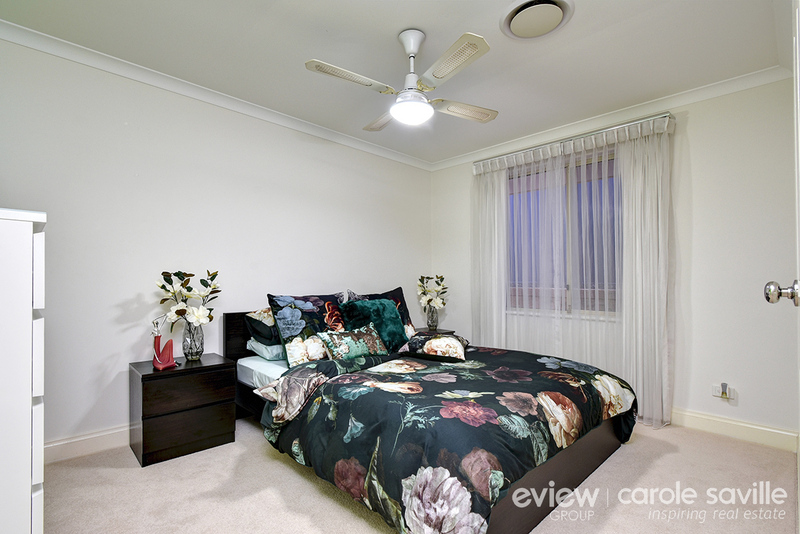 - Attractive low maintenance gardens mean you can truly enjoy your leisure time. 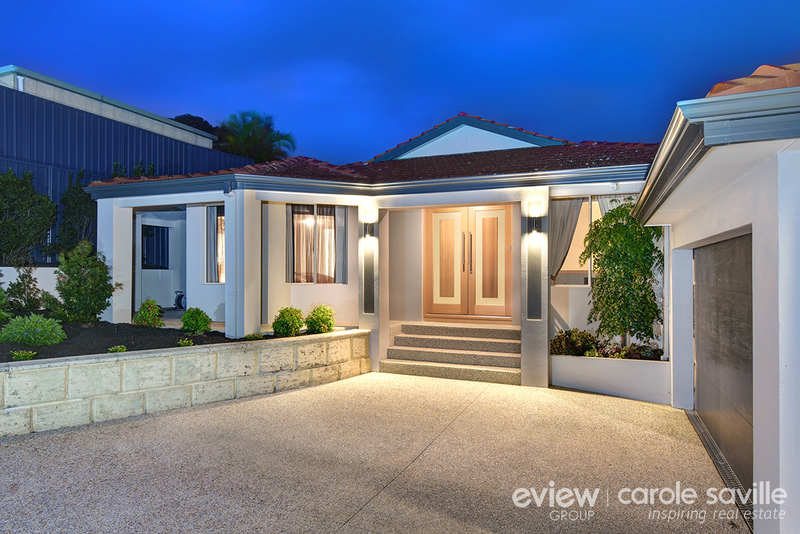 - Exposed aggregate driveway and double garage with remote controlled doors and digital security keypad entry is perfect for visitors and the extra family members. 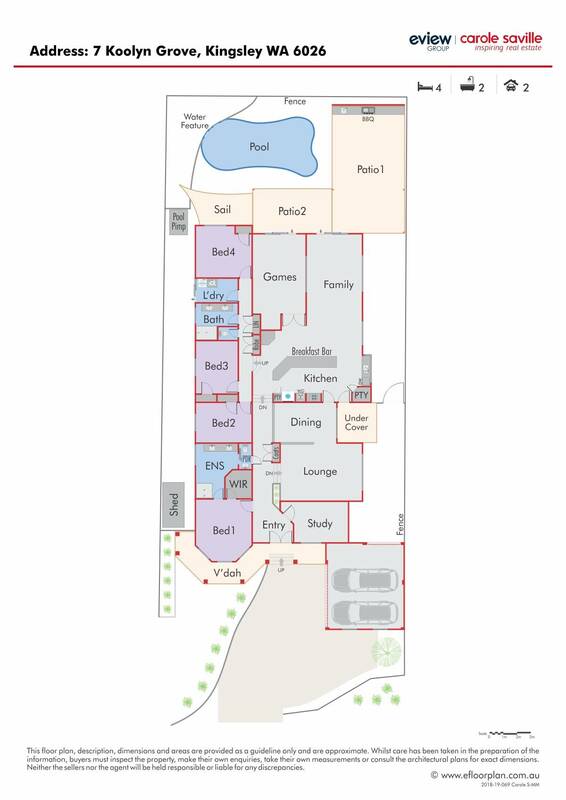 - Additional parking space for the caravan, boat or extra cars. Other features include: roof insulation, gas hot water storage system.